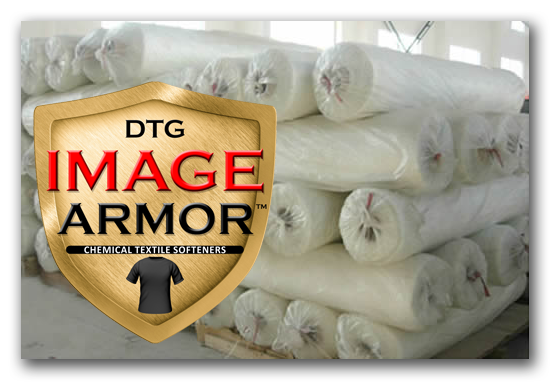 Image Armor is proud to announce the release of our new chemical textile softener series that is a very low cost application to give textiles a softer feel, and more durable for wear and tear during daily use. Image Armor Chemical Textile Softener ULTRA: This is used specifically for dark colored textile stock. Image Armor Chemical Textile Softener LIGHT: This is used specifically for white and light colored textile stock. The Chemical Textile Softeners can be used in industrial and consumer applications and applied in a variety of procedures. This is a low cost alternative to other Chemical Textile Softeners. Please inquire for bulk pricing and applications.